Jian and Alice bought 87 Hackford Road for £565,000 at auction in 2012. Jian, originally a professional violinist who moved from Chengdu to London in the 1980s, commented after the sale: “I cannot afford to buy Van Gogh’s paintings, so I bought his house”. The couple are involved in educational projects and cultural exchanges between the UK and China. They intend to bring Van Gogh’s former home to life again, as a base for visiting Chinese artists. The sale of the house followed the deaths of the previous owners, Arthur and Marjorie Smith, who had bought it in 1947, a few years after the upper floor had been damaged by wartime bombing. The adjacent houses on the southern side had been demolished, but good fortune saved number 87. The fact that the house remained almost unchanged after the Smiths’ initial renovations, 70 years ago, means that much of its 1850s interior has been preserved. Van Gogh lodged in Hackford Road for a year, in 1873-74, while working as an art dealer for the Goupil gallery in Covent Garden. The house was then owned by Ursula Loyer, who ran a small school there, helped by her 19-year-old daughter Eugenie. Intriguing evidence from Van Gogh family correspondence suggests that the young Dutchman fell in love with one of the Loyer women, most likely the daughter. It was only in 1971 that a postman discovered that Van Gogh had once lodged in Hackford Road. During a long postal strike Paul Chalcroft had time on his hands and set out to identify the residence of Mrs Loyer, who was known to be have rented a room to Van Gogh. The 1871 census records had just been opened up, a century later, revealing her address. Two years later a plaque was unveiled near the front door. The Wangs have been sensitively restoring 87 Hackford Road, with the work being overseen by their daughter Livia, an architect. This ambitious project is now nearing completion. What has not been reported are the intriguing discoveries which were made during the renovations. 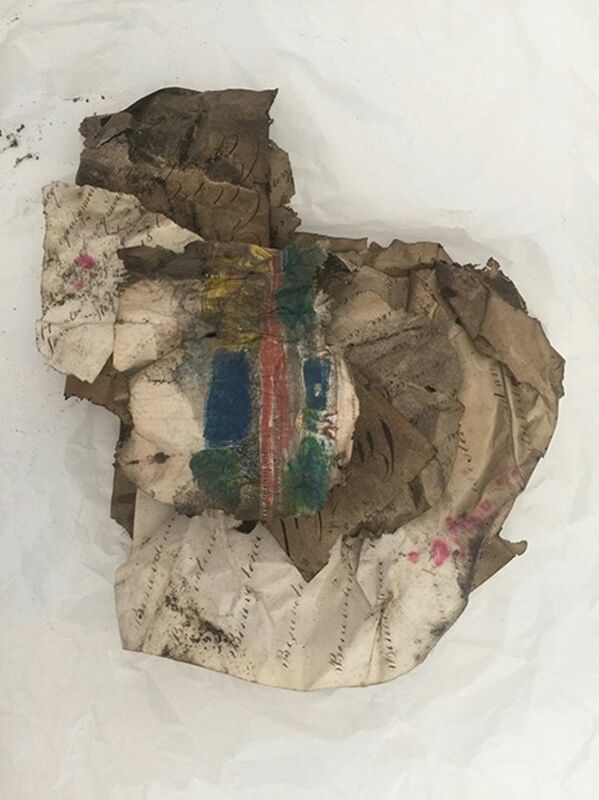 Hidden behind a board in the attic timbers, a set of insurance documents were found bearing the name of Ursula Loyer as the policy holder, two of them dating from the very years when Van Gogh lodged with her. 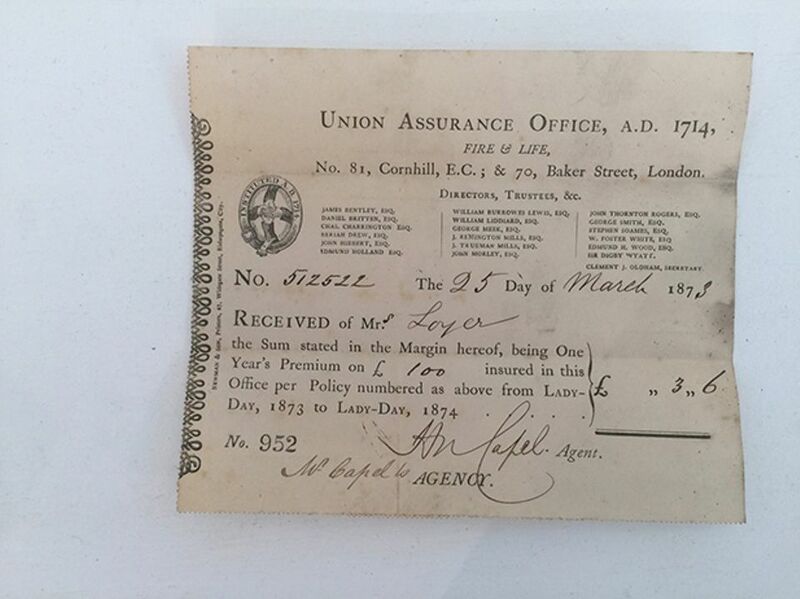 The house, valued at £100, was then insured against fire for a premium of 3 shillings and 6 pence. 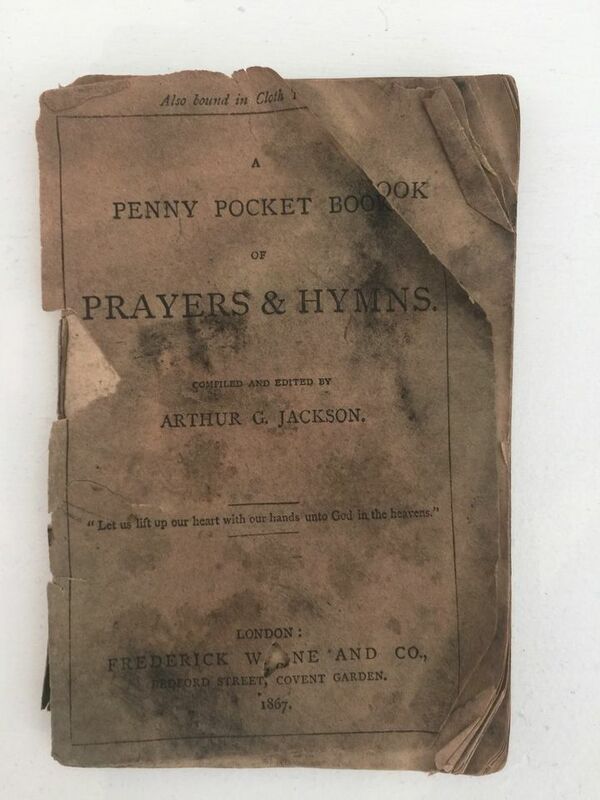 Along with the insurance papers was a battered 1867 edition of A Penny Pocket Book of Prayers & Hymns. The publisher, Frederick Wayne, had their offices in the very street in Covent Garden where Van Gogh worked at the Goupil gallery. The well-thumbed pamphlet probably belonged to Ursula, but it is quite possible that it was also read by Van Gogh, who during his London stay became an evangelical Christian. Equally intriguing is a separate discovery made under the floorboards of the top-floor front bedroom, where Van Gogh slept. Several years ago I was in the room and gingerly peeked under the tatty linoleum: there I saw old newspapers dating back to the late 1940s, which had been used for lining. This shows that the original floorboards had remained undisturbed for many decades. During the renovation work earlier this year, the floorboards had to be properly secured and underneath one of them a discovery was made. 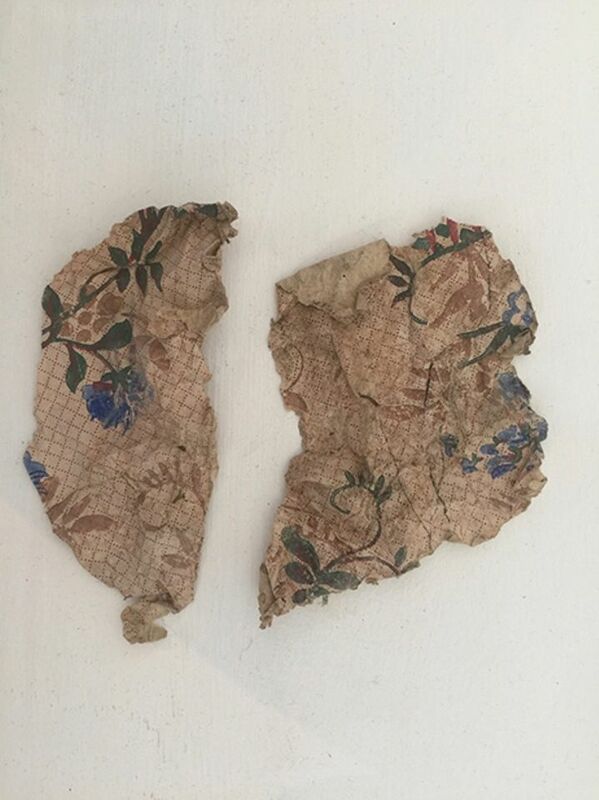 A builder found several scraps of graph-like printed paper with apparently added watercolour paintings of decorative flowers. Although Vincent sketched while he was in London, there is no evidence that he then used watercolour and the style bears no resemblance to his own. Perhaps they were done by Eugenie, Ursula’s teenage daughter and the subject of his unrequited love? Along with the scraps of watercolour flowers was a scrunched-up ball of documents. These brittle papers are extremely fragile and the Wangs are waiting for conservators from the Camberwell College of Arts to carefully separate them. The fact that a whole wad was under the floorboards, rather than a loose sheet or two, suggests that they were important documents which had been deliberately hidden for safekeeping, rather than papers which fell through a crack. It is unlikely that any of Van Gogh’s papers ended up there, but when the documents are deciphered they may tell us more about his landlady. 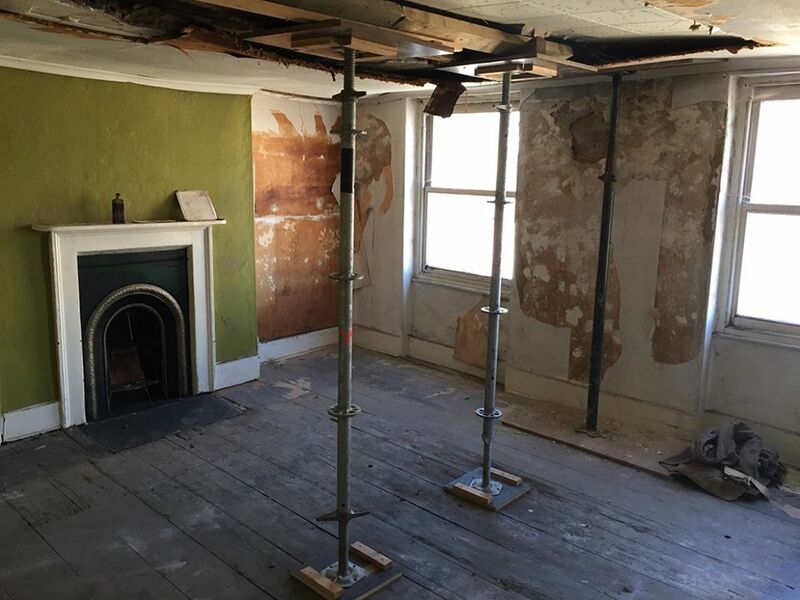 With building work nearing completion, Alice says that the house will now become “a venue for artists’ residencies and exhibitions”, primarily for those from China. Her mission is to enable artists to “make a living in their lifetimes”—something that Van Gogh failed to achieve. For more information about the Hackford Road house, see their website. 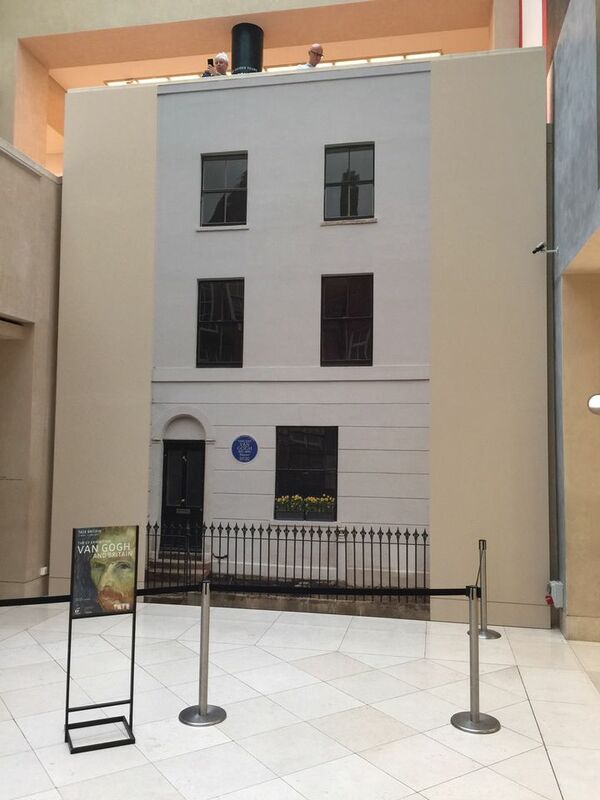 A striking, nearly actual-size photograph of the front exterior of 87 Hackford Road has just been erected for Tate Britain’s The EY Exhibition: Van Gogh in Britain, which opens on 27 March. Placed near the entrance to the show, it will set the scene and help visitors feel they are entering Van Gogh’s world - and share in his discovery of London and English art and literature.